There are many things in my life for which to be thankful. And I have to focus hard to find them right now, through a cloud of nausea. Because this seemed like a reasonably good day, but it went downhill fast. And then again, this is not a particularly good day in hindsight. I befuddled priorities, didn’t listen well when colleagues spoke, got only minimal exercise, and didn’t play with my kids as much as I would have liked. I’m grateful I recognize those failings so I can do better next time, and I’m grateful I have that chance. 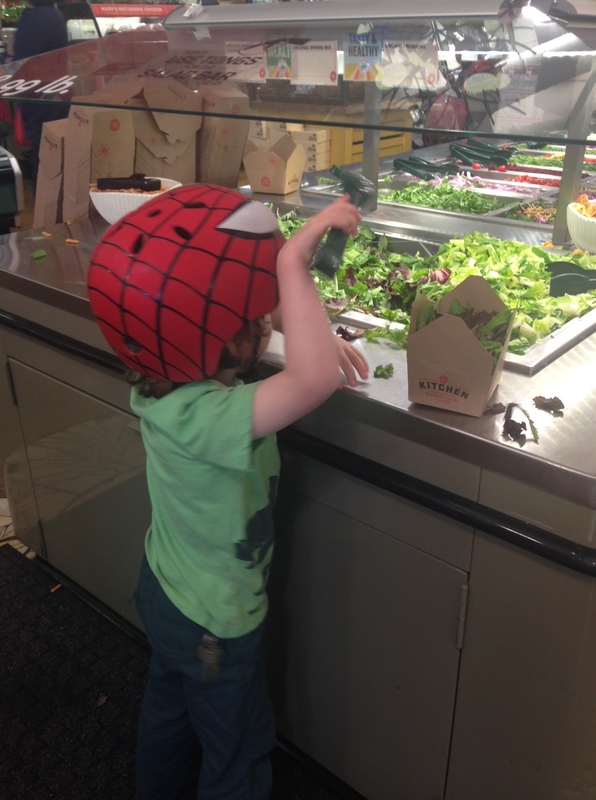 I may not be a great parent, but my youngest begs for lettuce and balsamic vinegar every time we’re in a store with a salad bar. I’m grateful for his patience with spring mix. This is not a particularly good evening in my parenting, and though the boys were quite pleasant together today, they weren’t at all nice on a phone call to grandparents, then they were nasty to each other at bedtime. I’m grateful that I told them, each time they were playing well, that I noticed their kindness; I’m grateful that their dad was over for dinner so he could help me separate them when the little one turned South for the evening. I’m grateful for the opportunity to try again tomorrow, for I naively believe that if I focus on the positive and give them tools to minimize the negative, they might some day make honorable citizens. I’m grateful for that hope, even if it’s naive. Last night was not a particularly good opportunity for sleeping. Though I was overjoyed to have the older child ask for company at night, he is a raging inferno, and I spent most of the night awake and hotter than hell. And we were joined in the middle of the night by his little brother, a walking furnace himself, who sleeps like he’s auditioning for a slasher movie. All night the two cats, who normally ignore us all and prefer each other’s company, decided that anything moving in the roastingly hot bed full of thrashing children was a plaything that needed a solid biting. And my injured shoulder still wakes me up at night, more than a month later. I’m grateful that my bed was hopping with 8,000 degree cat toys to distract me from my shoulder. What a blessing to be in the presence of my darling children as I get a free preview to menopause’s hot flashes while having my toes pierced by sharp teeth. So very grateful. The little guy’s favorite position is entwined. Here he’s on my lap, tightly hooking his leg around mine. He does the same at night. Wraps legs around legs or arms around arms or fingers in hair. He needs to be inseparable. I’m grateful he needs to physically hold me hostage. This is not a particularly good evening in my marital discord, and I have that adrenaline hangover that lasts long after a small disagreement when the stakes are so high. I’m grateful for the opportunity to work with my parenting partner toward an ideal separation that honors our kids, and I’m hopeful that better setting expectations will help. I’m grateful I notice what a petty, impatient creature I can be, because it offers an opportunity to improve. This is not a particularly good evening in culinary achievement. 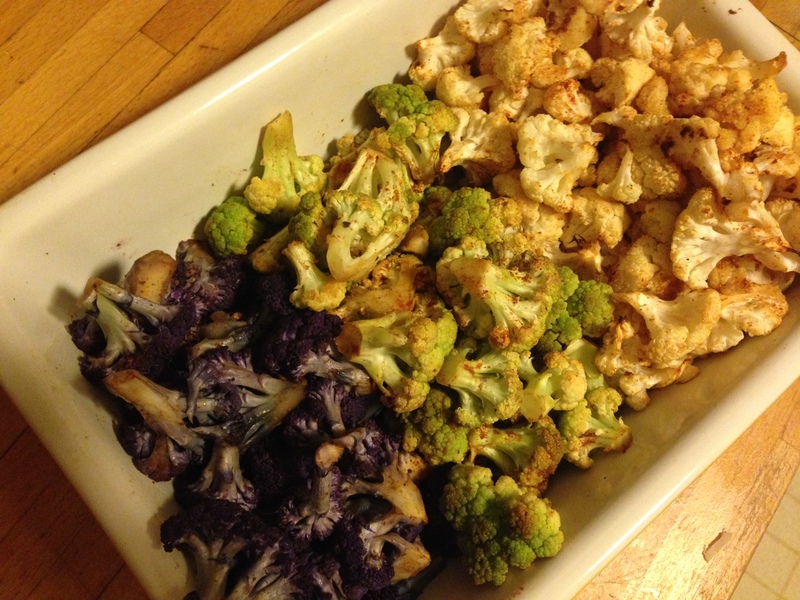 The roasted root vegetables for tomorrow are a bit underdone, and reheating in the communal oven tomorrow likely won’t bring them to the right texture; and the roasted three-color cauliflower is perfect, which means it won’t reheat well. I’m grateful for the large, joyful family who will criticize my food tomorrow, and grateful that they all think I’m a tough enough old bird that they can mock most of my decisions. I’m grateful I will have roasted leftovers to eat, all alone, in my sleeping-kids hours of self evaluation in the cold light of failure. I’m grateful that tomorrow night’s second reheating with either cure the root veg, or will help me stoke the pout flames. but it tasted sooooo good tonight and I thought I could get away with it. This has not been a particularly good week in personal choices. A malaise has flummoxed food, exercise, errands, chores, and parenting choices. Not sure what’s ailing me, but I’m grateful my basic needs are covered such that I have the luxury of malaise. And misanthropy. And melancholy…I’m grateful for my melancholy. And who doesn’t love a good spell of misanthropy? I’m thankful for the opportunity to remember why I despise humanity. In fact, I’m grateful that I’ve run out of my favorite hot chocolate right before stores close for a day and then are replete with the worst of humanity for another day. I’m glad my chosen form of self-medication is unavailable for at least two days. Such scarcity will make me a better person, for which I’m grateful. There’s no room in my privileged, blessed life to go to bed pouting about all the things I screwed up today, nor the things other people screwed up that I feel compelled to fix. I didn’t yell at my kids or my estranged husband. I didn’t buy anything stupid in an online Black Friday spree of “well, if it’s Wednesday and on sale, it must be a good deal so I need it” nonsense. I thought about it, but didn’t click the pay button. I showed up to the work day (the one in which I didn’t feel I listened hard enough) which puts me ahead of all the other colleagues who could have done the same but didn’t. And I not only changed the sheets on three beds by myself while ignoring my shoulder, I flipped and rotated the mattress on the top bunk. By myself, somewhat one-armed. I’m grateful, in that light, that I’m a superhero. A few weeks ago I read Carinn Jade’s post about gratitude. She has lovely things to say about teaching children to think about their lives in perspective, to teach ourselves to find the bright side by living in thoughtful meditations on gratitude. After reading it, I decided I’m a terrible parent appreciated the reminder that I should be focusing the family on gratitude. We have always, every night, talked about what each person’s favorite and most challenging parts of the day were. We’ve used it as a way to learn evaluative skills and to hear how other people address challenges. But other than Thanksgiving, we don’t spend a lot of time using the words grateful and thankful. I’m rather embarrassed about that, because I know full well that reflecting upon that which makes life wonderful creates a cycle in which gratitude makes us see events and people in a better light, which makes us more grateful. I’ve been reading Secrets of Successful Families and Raising Happiness, and both point me in the same direction Jade’s post did: get everyone in the family thinking about life’s gifts, and appreciate them together. It helps. So we started. I intended to circle the gratitude wagons at dinner, but meals are a reasonably raucous time of “please don’t call each other buttface,” and “please don’t call each other poopface, either,” and “please eat the food or leave it on the plate; food is not a toy,” and “yes, you can have more, but please finish what you have first,” and “did you say that to make him feel good?”, “dear gawd am I ever going to eat more than two bites without someone asking me for something?” moments. But I finally remembered to ask what the boys are grateful for as we walked to school. I told them I am grateful I have three wonderful guys in my house to see every day. Peanut, who is seven, said he is grateful for friends. Butter, the three-year-old, said he is grateful for cake. If I’d thought of it, I might have started there, too. I said I am grateful for the way Spring smells and feels and shines. Peanut said he is grateful that we have enough money to live in a house. Butter said he doesn’t want to do this any more. I said I’m grateful we have so much wonderful family to visit and play with. Peanut said he’s grateful for tigers and leopards and he wants to try to save them. I judge myself pretty harshly, readers, about the job I’m doing parenting because my kids fight a lot and Spouse and I are not patient enough. But it seems to me that if my seven year old is grateful for friends, his home, and his place in the world, I’m doing an okay job. A genuinely okay job. I can only suppose that the cross between lion and lamb is Liamb. Or a Throchee, if it’s trying to be significantly jarring. I love March. So very much. It’s giddy-makingly warm here and everything is so adorably excited to be growing. Maple trees ruddy themselves with shocking overnight growth, flowering bulbs dance in the breeze, plum and cherry blossoms toss petals everywhere, and color creeps into every unexpected corner. Both my boys were born this month. I take special care every day of March to watch them just be. Inhabiting their bodies in ways no adult remembers how to do. Experimenting with the world in ways that produce amazing reactions that teach them the same Earth-bound lessons that thousands and thousands of humans before them have learned. 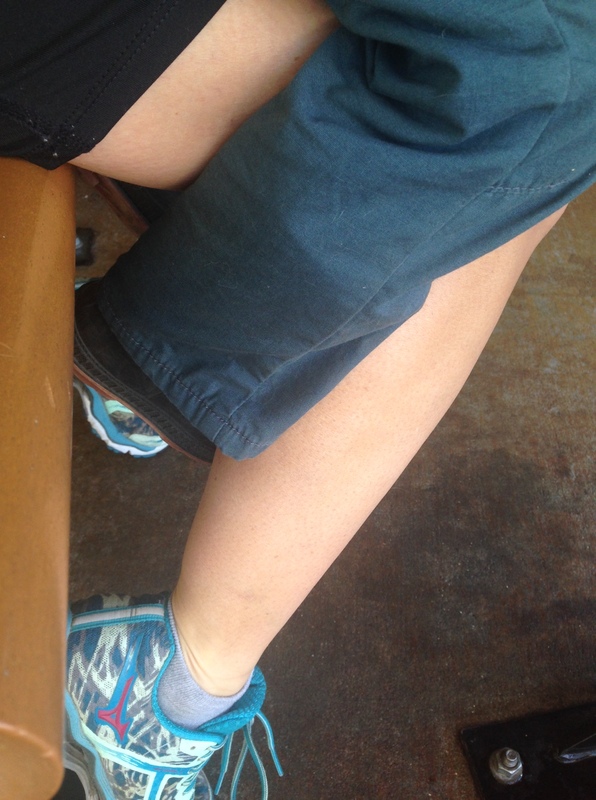 Gravity’s plops and mud’s splats and water’s wily ways. But these scientists are mine to care for, nurture, prune gently and judiciously, March reminds me. Spring is one of the few times I feel I might be able to do that. Maybe even well. Have a favorite month? Have a time of year that offers as much to you as Spring Festival and Nowruz and birthdays and a preponderance of green and white and yellow and pink and purple and blue? Prefer summer’s garden delights or fall’s brisk days or winter’s stark beauty? March is magical in my little world. How do you mark the year, dear reader? What makes you pause and appreciate all you have?